It is true: time flies and we cannot believe but we have reached our final festival weekend! Let’s start out with a highlight of our FOKUS programme: the short film programe PHILIPPINES. Many guests will attend the event to present their movies. 5:30pm at Murnau-Filmtheater. Director Adolfo Boringa Alix, Jr. will also present his film DARK IS THE NIGHT [MADILIM ANG GABI ]. 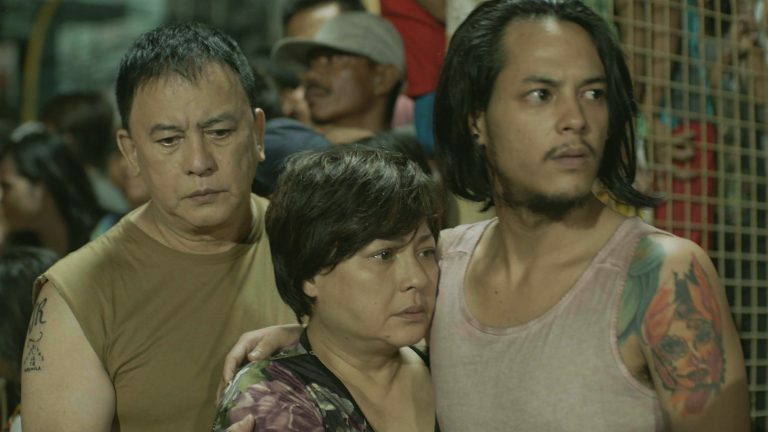 The film gains credibility as it demonstrates how drugs permeate ordinary lives in the Philippines, hence cannot be eradicated by some quick fix. The story draws out an intricate web of crime that holds the society in a tight grip. 10pm at Murnau-Filmtheater. Speaking of guest: Those of you who witnessed the INTERNATIONAL SHORT FILM COMPETITON – PART I knows how wonderful it was to see many faces from the screen live on stage. At 4pm at Murnau-Filmtheater there is another chance with the INTERNATIONAL SHORT FILM COMPETITION – PART II.